Why Do Authoritarian Regimes Make Their Armies Readily Available to Participate in International Peacekeeping? When the first United Nations Peacekeeping force was proposed by the Canadian Foreign Minister Lester B. PearsonEthiopia: When Peace Wreckers Become Peacekeepers in 1956 in response to the Suez Crisis the idea was received with a mixed reaction in the international diplomatic and policy circles. Some welcomed it as a ground breaking and watershed moment for global peace and security while others viewed it as a strange and impossible idea to build consensus from all member states. Whatever the initial reaction, establishing an international peacekeeping force eventually won the support of the majority, and Lester B. Pearson who subsequently became the Prime Minister of Canada won a Noble Peace Prize for his contribution in proposing and designing and building consensus to the establishment of UN peacekeeping force. In the recent years UN peacekeeping operations ushered in new guidelines, frameworks and mandates to respond to each conflict dynamic effectively. Alluding to this point the United States Ambassador to the UN Samantha Powers was quoted as saying “This is not your mother’s, or your grandmother’s, peacekeeping.”1 Indeed, most of the changes that have taken place over the last decade or so are commendable and they could significantly strengthen the capacity of the UN peacekeeping missions and their effectiveness. However, some of the changes, particularly the expansion of the pool where the uniformed and civilian peacekeepers comes from, is a case for concern both for the reputation and prestige of UN peacekeeping missions and for upholding the principles of the UN’s Universal Declaration of Human Rights (UDHR). First, TPLF sees international peacekeeping as lucrative business/money making opportunity. 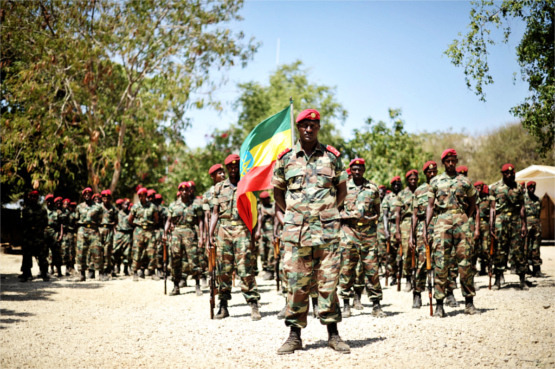 According to the UN’s publicly available information “countries volunteering uniformed personnel to peacekeeping operations are reimbursed by the UN at a standard rate, approved by the General Assembly, of a little over US$1,028 per soldier per month.”3 Which means based on the current troop contribution TPLF pockets close to a million US dollar a year (7862 x $1028= $80,811.36 x 12 =$969856.32). How much of this fund is allocated to the participating troops or police officers is not disclosed and there is no system of accountability or audit.